Our bodies are constantly being bombarded with toxins, from the air around us, to the food we are eating and the chemicals in the everyday products that we use. I offer a variety of detoxification services in a supportive, nurturing and professional environment. The services I offer give us a chance to eliminate some of these toxins. Nirmal Watson is the owner of The Body Cleansing Studio in San Rafael, California. For many years she worked as a massage therapist, both in Hawaii, where she was licensed in 1979, and in Australia. She studied Colon Hydrotherapy with Connie Allred at the Internal Environment Institute in Los Angeles, California, in 1996. She is certified by I-ACT, the International Association for Colon Hydrotherapy, at their Advanced and National Board Levels. 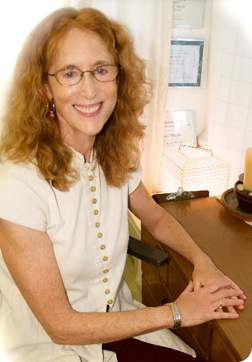 Since 1997 she has been owner of The Body Cleansing Studio. Nirmal became certified as Nutrition Consultant at the Institute for Educational Therapy (Ed Bauman, Program Director) in 2001. She also studied with Allen Mills at the Center for Lymphatic Health (2004), in Santa Barbara, California, and is certified through the Center as a Lymph Drainage Therapist. As well as doing manual lymph drainage, she is trained in the use of a high frequency device called the Lymphstar Pro® which helps to break up congestion of fluids in the cells, allowing the lymph fluid to move more easily through the lymphatic vessels.